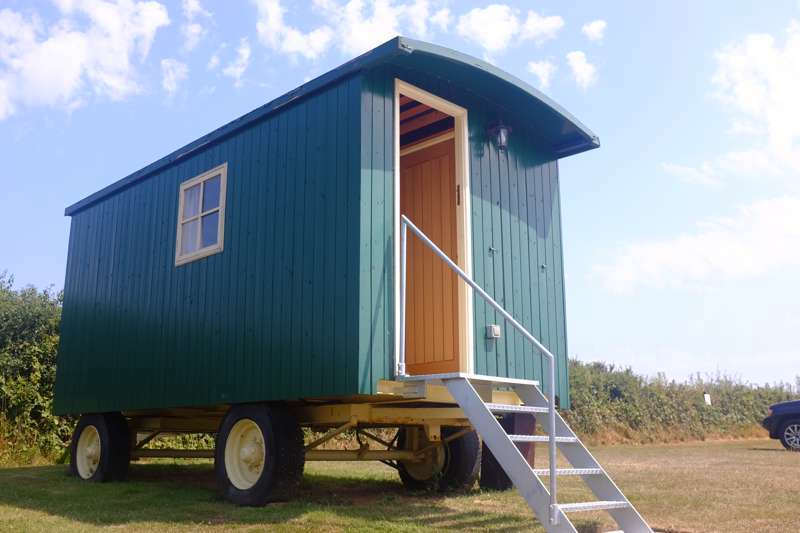 Situated on the Isle of Purbeck, a stone's throw away from Dorset's famed Jurassic Coast. 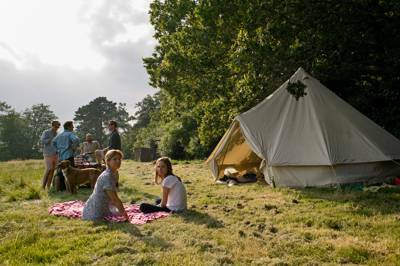 our family-run campsite has 160 unmarked pitches on 3 fields across 13 acres where wild deer, pheasants and birds roam. 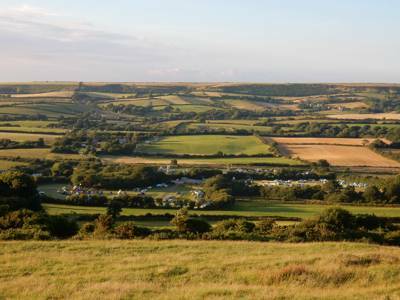 This spacious campsite with broad, countryside views never feels full even during the peak camping season. One field is bordered by a steam train, linking Corfe Castle and Swanage. A new facilities block houses 18 showers (including separate male and female disabled shower/toilet). 60 electrical hook-up points are available and 20 of which are hard standings for camper vans. A large shop selling camping essentials plus basics like bread, milk, eggs and local beers and ice creams. 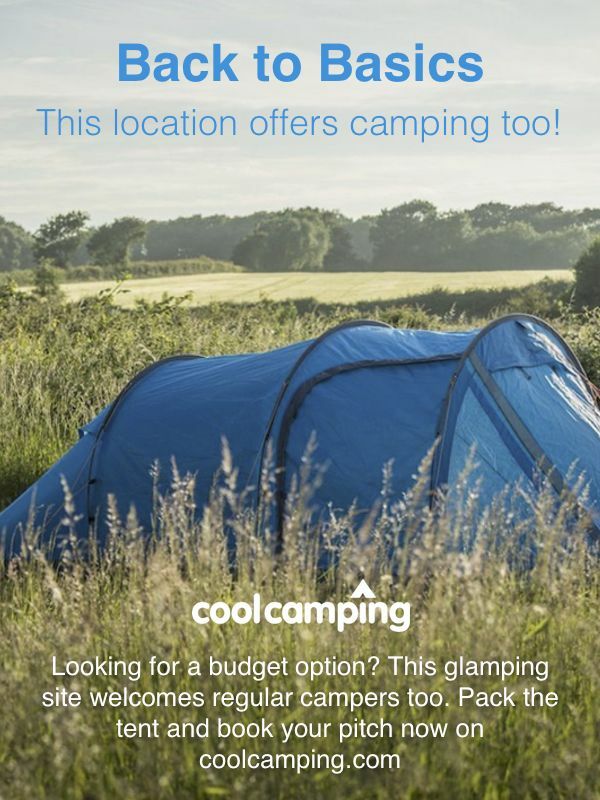 Free Wi-Fi is available throughout the campsite (code available from reception on arrival). We have recently been award the David Bellamy Silver Award for our campsite and are continuing to improve and develop the site year on year. There's no better way to explore the stunning Jurassic coast than by ambling along the South West Coast Path. The long, sandy blue-flag beach at Studland Bay is just 10 minutes’ drive from Woodyhyde, and the entire Jurassic Coast, including the lovely Lulworth Cove and the famous Durdle Door rocks, are within easy reach. The ruins of Corfe Castle are in the nearby village of the same name, though cream teas in town may be even more popular. Putlake Farm (01929 422917) at Langton Matravers, offers interactive animal adventures including bottle-feeding lambs and goats. There’s also an indoor soft-play zone, outdoor play area and café. Family tickets are £18.50. Dorset cream teas are available everywhere, including the particularly welcoming National Trust Tea Room in Corfe Castle. Alternatively, take a walk over Ballard Down, passing Old Harry Rocks and winding up at the bottom of Studland village at the award-winning Bankes Arms Country Inn (01929 450225). They serve bar snacks and meals of fresh local produce, and a range of ales from small independent breweries, including their own microbrewery.